100% non-Oshkosh.))) Can be Zeligson. Could be Hayes. Look how they've taken a tanker body of a trailer and put it on a straight truck. Wow. И к какой же серии относится этот грузовик? 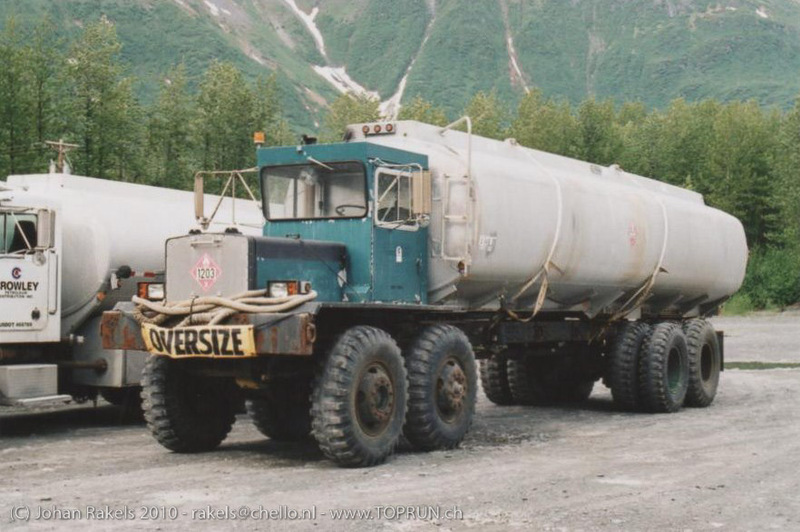 i think it is an autocar , and yes putting a trailor tank on a straight body begs the question - why? Oshkosh off cause! This truck has the Oshkosh's old cab. English:rnThis is Hayes:rnhttp://mpark.pro/uploads/posts/2015-10/1446125279_18-hayes-r12.jpgrnrnAnd this is Oshkosh with his strange cab:rnhttp://mpark.pro/uploads/posts/2015-10/1446122012_11-oshkosh-j.jpgrnrnGuess, in question picture is Oshkosh to.rnrnRussian:rnНа первой ссылке точно Хейс, на второй точно Ошкош.rnДумаю, и на вопросной картинке Ошкош.